On June 4, 2015 at approximately 7 pm at the Puslinch Community Centre in the distance what sounded like gun shots or fire works were heard by players, coaches and parents. Almost immediately afterwards, multiple projectiles were reported to have whistled through the field. Thankfully no one was injured and quick action by our coaches and team manager to contact the OPP ensured the safety of our players. All those present immediately took cover and OPP arrived to assess the situation. Upon local surveillance the source of the weapons fire was located and approximately 45 minutes later we were given the ‘all clear’ by the OPP. They had discovered multiple young adult males, on private property, target practicing who did not realize their projectile was greatly exceding the boundaries of their property. While we take every precaution and pride ourselves in providing a safe environment for all of our members to enjoy the wonderful sport of soccer, we want to assure you we are taking action to further investigate this situation. Our president Bruce Joy has already met with township officials and we are looking for more information. Please contact OPP or one of our executives if you have any information that may help in the investigation. 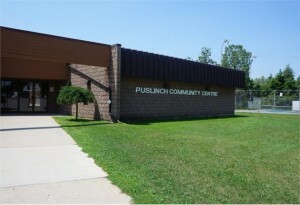 We are confident this will be an isolated event and that the Puslinch Community Centre will remain a safe and fun environment for all our PMSC members and their families. Hello Puslinch Township Officials…[above] is a message we sent out to our membership today and wanted you all copied so you are all aware. We hope to continue to communicate openly regarding this incident with yourselves and the authorities. This event needs to be addressed as the safety of children and our community was at GREAT risk. We are extremely grateful no one was injured and that our coaches, team manager and parents immediately contacted authorities and took cover to keep our children safe!